The Teachers Pay Teachers Cyber Monday sale is here, and it's the perfect time to stock up on resources for your classroom at 25% off with promo code CYBER18! 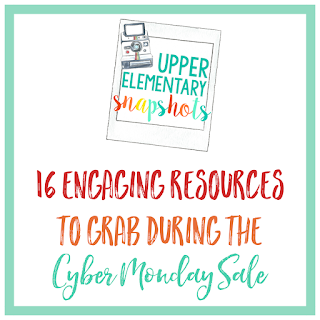 This list is comprised of our 16 favorite resources for the Cyber Monday sale. Many are great year-long, while others will help you engage your students in meaningful learning before the holidays. 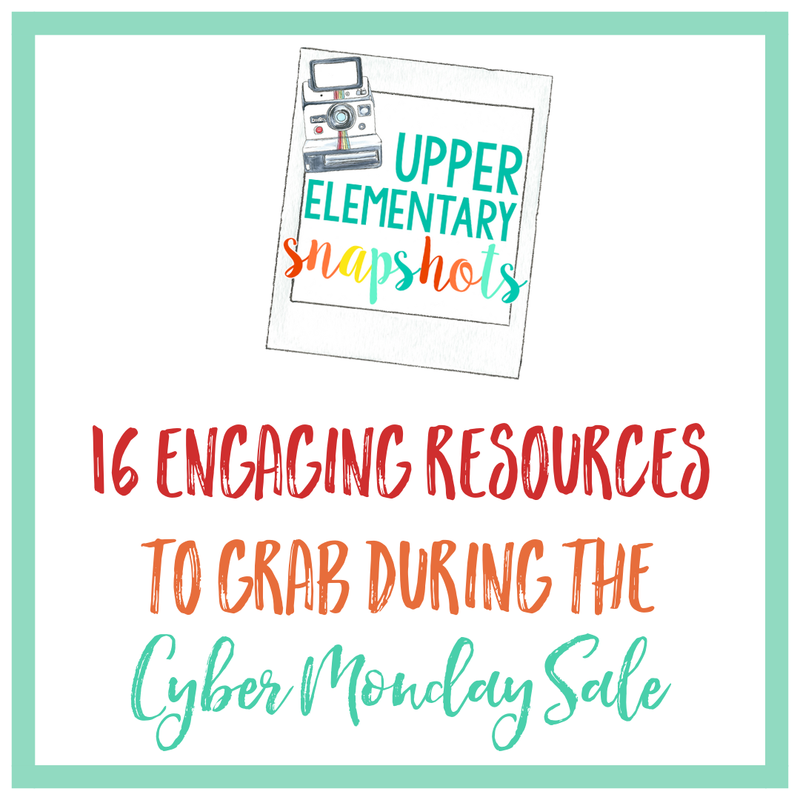 Take a look at each of the resources below and grab what works best before the Cyber Monday sale ends on November 27th at midnight EST! 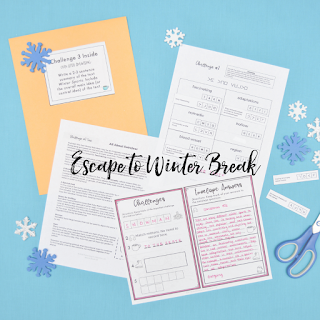 Escape to Winter Break is a great way to review your ELA standards before winter break! It makes it easy to get your students excited about skill practice, and it also helps you identify gaps that you need to cover when your students return to school after break. The best part is that each escape takes around 15 minutes to prep. The way it's organized keeps each student accountable for the work, and it teaches students cooperation skills as they work in small teams to escape. Check out the math version as well, Escape the Emoji Reindeer Farm. This digital resource provides students with a spiral review of math standards every day with a quiz on Friday. Google Forms are self-grading and automatically collect data. This is the perfect way to save time and energy for any teacher. Did you know that some children place their shoes by the fireplace to be filled with surprises or that Santa would have to visit 832 homes every second in order to deliver all the presents? Outrageous, puzzling, and true facts kids will want more of! Kids love these random facts and want to share what they learn with whomever will listen! 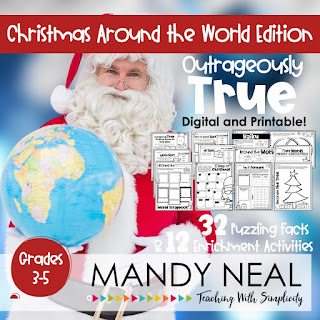 The Outrageously True ~ Christmas Around the World contains 32 puzzling facts and 12 different enrichment activities. The outrageous facts are perfect for early finishers or activities leading up to Christmas! 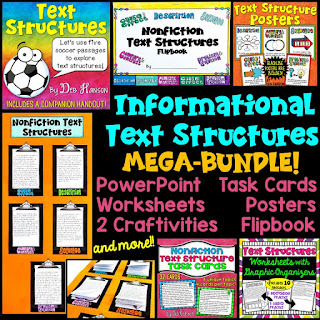 This Informational Text Structures bundle is designed for 4th, 5th, and 6th-grade students. It includes engaging activities perfect for introducing your upper elementary students to the 5 most common types of nonfiction text structures. It explores description, cause & effect, problem & solution, compare & contrast, and sequence. This bundle includes a PowerPoint, flipbook, worksheets, a craftivity, and more! Genius Hour is a time set aside during the school day for students to research something they are passionate about. Genius Hour will engage your students like no other project you have ever done before! Included is everything you need to make Genius Hour successful in your classroom. Unlock the Box! 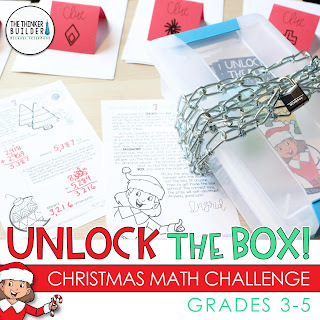 is an engaging escape-room-like math challenge for the holiday season, with an addition and subtraction with regrouping focus. An elf named Ingrid has locked a prize inside of a box, and students must solve her clues and find the key to unlock the box and share the prize with the class! 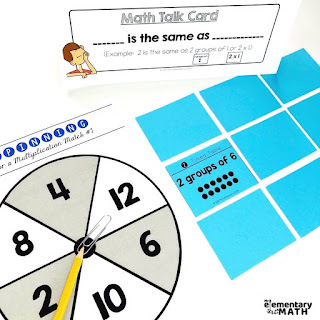 Math Exit Slips are perfect for checking for understanding and assessing student progress with new concepts and skills. They are quick and easy to prep, assign, and grade. These Math Exit Slips are available for 2nd to 5th grade. 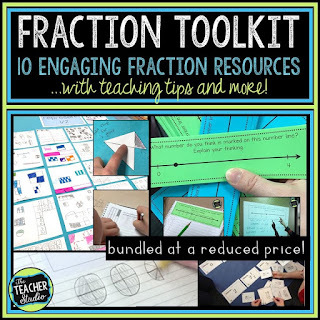 After multiple requests, I have bundled together 10 of my most engaging fraction resources to provide truly everything you will need to either TEACH a unit on fractions or supplement what your textbook provides. This bundle is full of higher level thinking opportunities, hands-on learning, and deep conceptual understanding. If you are looking for “fill in the blank” fraction work—this toolkit is NOT for you! I have blogged extensively about fractions, about how to teach fraction concepts toward deep understanding, and more--and all of that information is included as a part of this giant toolkit. It's like professional development AND an easy-to-use instructional tool all in one! 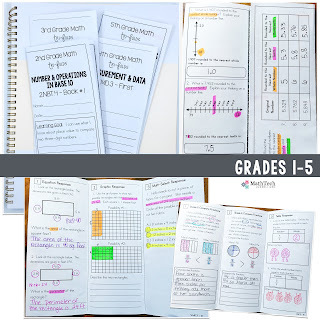 The feedback on the Math Tri-Folds speaks for itself! 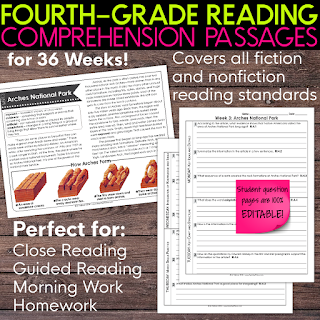 This 4th grade reading comprehension resource covers ALL fiction and nonfiction content standards. It includes 36 high-interest, professionally written reading passages that are designed to engage your students. 11-12 text-dependent questions (and answers) accompany each passage, and student question pages come in an editable format! These materials are perfect for guided reading, shared reading, close reading, homework, or morning work. Your students will love responding to and telling about their reading with this fun flipbook bundle! Students may tell about a fiction book they have read by describing the story elements, tell about the sequence (beginning, middle, and end), or they may write about a non-fiction book by providing important details from the book. Five flipbook sets are included along with bulletin board letters and display pictures and ideas for each. These will make a beautiful bulletin board or hallway display that everyone will enjoy! 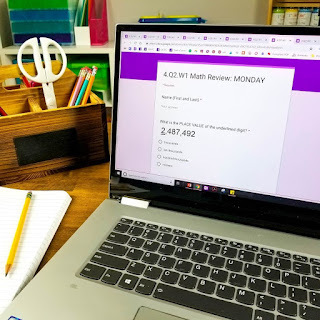 The struggle is real when it comes to getting your kids to master multiplication facts! Why not give them an opportunity to practice their facts through fun games? Jumpstart your games collection with the multiplication facts bundle that includes 33 total games + student study cards for each fact. 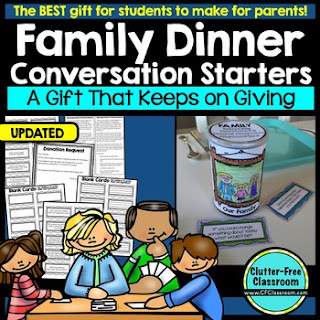 This popular resource is the perfect holiday gift for students to make for their families. Unlike a craft that will be tucked away, hundreds of parents have reported how much they LOVE this gift because it is used daily and brings the family closer together. It is the perfect combination of NO PREP, LOW COST MATERIALS and EASY TO DO yet it is far more valuable than any other gift you could have your kids make. It makes it easy for students from non-traditional families to make more than one gift so both homes are equally included. Looking for a way to make grammar fun? 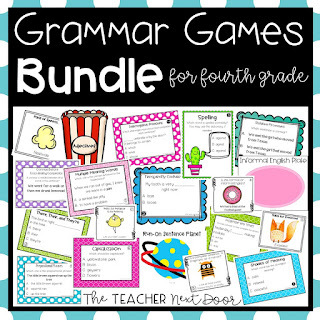 This fourth grade Grammar Games Bundle includes a total of 30 games, one for EVERY 4th grade language standard, to help your students get the grammar practice they need! The grammar games come in a variety of fun formats which are perfect for centers, whole class games, one on one, test prep, and more! Need another grade? There are third grade and a fifth grade versions too! 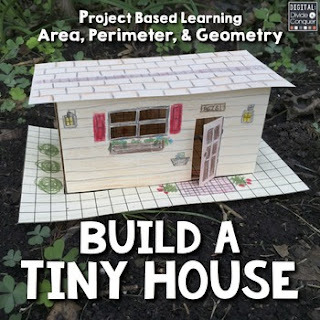 Build A Tiny House is a project based learning (PBL) activity that'll put the designing into the hands of the students. Students will dive deep to show they understand the how (and why) math concepts such as area, perimeter, and geometry are used in building a home. This project integrates multiple elements such as problem solving, collaboration, design, and planning that connect concepts across multiple platforms. 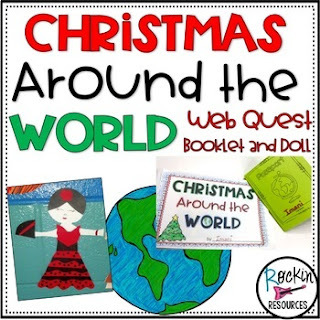 Your students will love this Christmas Around the World Web Quest with booklet and doll craft! Students and Teacher versions are included so students can have their own .pdf to follow links to the websites needed to fill out the booklet! Students get to choose from 30 different countries.